Beards and moustaches are often regarded as an indicator of a man’s age, masculinity and social dominance. Studies into the evolution of human behaviour have suggested that masculinity ratings increase linearly as facial hair increases, and that men with full beards are considered to be more attractive partners for long-term relationships.1,2,3 While these may be bold, sweeping generalisations, an inability to grow – or a sudden loss of – facial hair can be a concern for men. Exhibiting facial hair at some stage in a man’s life is becoming a rite of passage. As such, experienced hair transplant surgeons such as myself are noticing that the demand for beard-boosting treatments and transplants is rising. The so-called ‘hipster movement’ has also been associated with the growing trend for beards over recent years, but if we look back even further, beards have a longer history. Beards regularly switch from being on trend to passé but, for the past few years at least, the trend seems to have firmly remained ‘in’. It seems to be unrelenting and with this comes a rise in enquiries for a range of treatments, as men realise that not everyone is blessed with the natural ability to grow a full beard or, as discussed in more detail below, has had the ability taken away from them. At the Farjo Hair Institute where I practise, enquiries for facial hair transplants come from a mix of men with a variety of background stories. At the initial consultation, motivation and expectations are discussed and many requests are declined as unsuitable for a variety of reasons. Emotional turmoil and stressful situations are believed to intensify the symptoms,9 but the root cause and why it only affects certain people is not fully understood. Although men with alopecia areata in the beard area may be inclined to enquire about hair loss treatment, they would not be advised to progress with a transplant. Beard transplant methods move hair follicles from a hair-dense area to a bald area, but there is a chance that transplants may not grow in areas of alopecia areata or initial growth might not be sustained. For those with alopecia areata in the scalp, many doctors will advise patients to start with steroid injections that contain corticosteroids – an anti-inflammatory medicine which is essentially a man-made version of a hormone usually produced by our adrenal glands.10 This suppresses the immune system so that the hair follicles have the opportunity to grow back. However, this – along with topical and oral corticosteroid – is not widely recommended for facial use as the face is particularly susceptible to the side effects of this treatment,11 such as bruising, discolouration and worsening of skin disorders, such as acne and rosacea. Figure 1: Images show left, front and right side of the patient’s beard before a Strip FUT transplant. Figure 2: These images show the transplant incisions and immediate post-op results with grafts. Figure 3: 12-months after Strip FUT treatment, which involved 902 follicular units. Another example of when an individual may not be right for hair restoration surgery is when they suffer from trichotillomania. Trichotillomania is a condition where a person feels compelled to pull their hair out and is impulse-controlled. In terms of hair loss, the condition is characterised by an intense and repeated urge to pull out scalp hair, eyelashes, eyebrows, nose hair, pubic hair or facial hair, such as a beard or moustache.12 Pulling your own hair out in this way is often a response to a stressful situation and it is done habitually, sometimes without even realising. The noticeable bald patches which result regularly trigger a patient’s interest in hair transplant surgery to cover them up. While surgery may fix aesthetic symptoms temporarily, it fails to tackle the true cause of the hair loss, so treatment should not be recommended in this instance as, with all likelihood, the compulsion will return and the patient will once again find themselves without hair. Trichotillomania is an impulse control disorder and has been linked to behaviours associated with obsessive compulsive disorder (OCD), which can cause negative feelings and emotional distress, such as anxiety and depression.13 As such, it is a psychological condition and unfortunately not fixable with a hair loss treatment alone. Surgeons approached about trichotillomania surgeries should suggest counselling initially. Inflammation of the skin, for any reason, can cause hair on the scalp, body and face to thin and fall out. In general, patients with any sort of active dermatological condition, such as scarring alopecia and frontal fibrosing alopecia, are not suitable candidates for a hair transplant. Referral to a dermatologist is advised in these cases and, if fully treated, the candidate could be reconsidered for a transplant. So, who is right for a beard transplant? 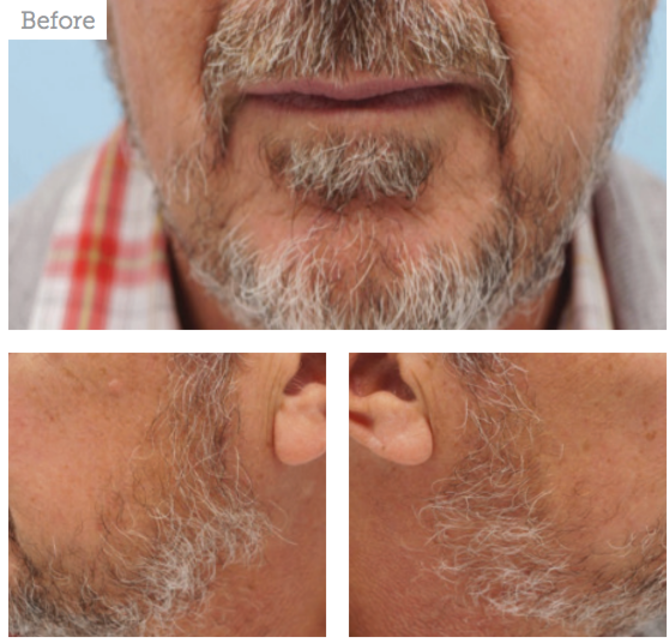 Of course, there are many instances when a beard transplant offers patients the perfect solution. Patients who have experienced trauma or facial injury, possibly from burns or scarring through previous surgery, tend to be suited to a beard transplant. In these cases, there is usually no underlying condition that may cause hair loss to be repeated after treatment and good results can be achieved, providing the density of donor hair is sufficient. 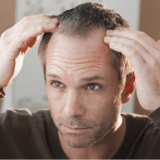 Physical trauma, including surgery, can result in permanent hair loss. The hair follicles are damaged and often replaced with scar tissue, meaning hair will no longer grow from that particular patch. 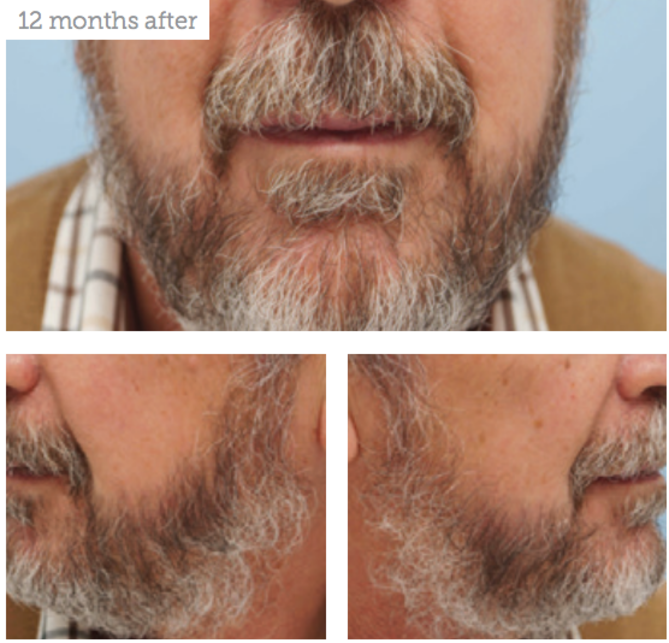 For patients in these circumstances, beard hair transplants are the only permanent solution. Most commonly though, it’s those men whose beards just aren’t as naturally thick as they would like them to be, or who have patches of decreased density that they want filling in, who request hair transplants. The main surgery options for beard and moustache transplantation include strip follicular unit transplantation (Strip FUT) and follicular unit extraction (FUE). Sufficient donor hair is required for each method, which is usually taken from the back of the scalp. If a patient has male pattern balding on the scalp, they would need to consider what their priority is – the head hair or facial hair? When reviewing a prospective patient, the first question I find that they often ask is which method is the most suitable. During an FUE hair transplant, individual hair follicle grafts are removed from the donor area – usually spread out from most of the back and sides of the scalp – and then individually transplanted to the recipient area. This procedure was developed in the late 1990s, to avoid the linear scar that is associated with Strip FUT.14 One of the things that some people view as a drawback of FUE is that, for large cases requiring thousands of grafts, the whole donor area will need to be shaved on the day of the transplant. Transplanted grafts can be expected to last as long as they would do in their original location i.e. at the back of the head. Strip FUT surgery involves the surgeon removing a thin strip of hair-bearing scalp skin from the donor area – the back of the patient’s head – before separating the follicles under high-powered microscopes and re-implanting them in the recipient area. 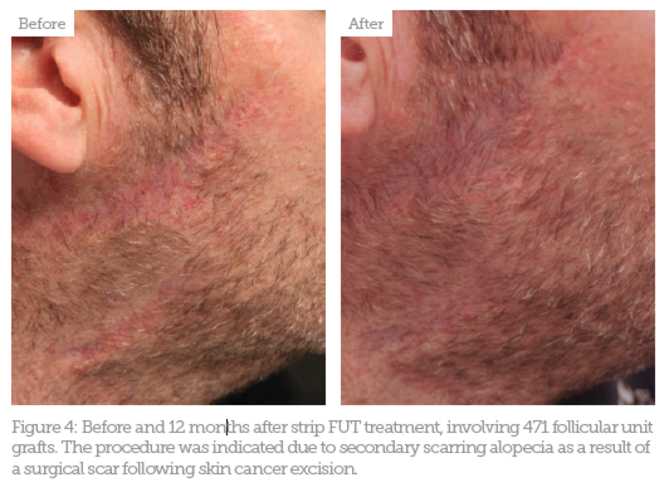 Over the years, strip FUT practice has been continually refined and, these days, a skilled surgeon should be able to achieve a fine linear scar in the majority of procedures. However, many patients can be put off by the prospect of the wide donor scars they see online and social media which could be produced by doctors who are not as experienced as others. 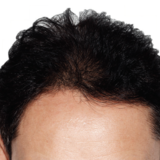 Both the Strip FUT and FUE methods have advantages and disadvantages and we recommend that patient suitability is best discussed with a hair transplant surgeon who utilises both techniques regularly in their day-to-day practice. 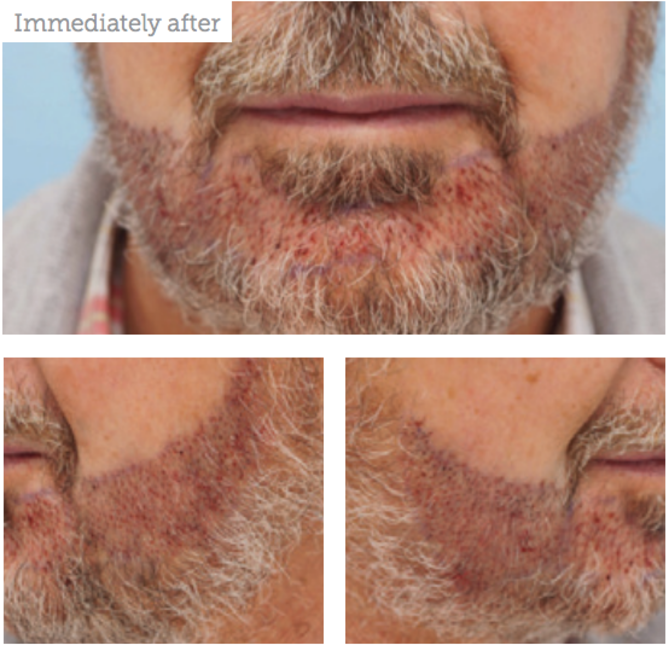 Like any procedure, beard transplants carry an element of risk, but the associated risks in this instance are usually outweighed by the resulting boost in confidence. Possible side effects of surgery include infection, pain at transplant site, redness, scars and bruising, but these are relatively minimal with any discomfort being short-term. There are no known significant or long-term health-related side effects of having a beard transplant; however aesthetic complications can arise if the procedure is carried out by inexperienced doctors. For example, the potential for the grafts not surviving, the potential for hair to grow in the wrong direction or angle, and the risk of a difference in the appearance of the transplanted and natural hairs in terms of colour and quality. In addition to the procedures previously discussed, there are a variety of non-surgical options. For example, micropigmentation can be used to add to the appearance of beard density and create a look of fullness. This technique is a very viable treatment for those who don’t require, or want, a transplant. During micropigmentation, deposits of pigment are injected into the dermal layer of the skin to create the appearance of stubble.16 It aims to replicate the look of shaven hair but is by no means three-dimensional. It is, however, a flexible treatment, allowing patients to request the shape and profile they would like to achieve. Whilst topical treatments, such as finasteride and minoxidil, are available to stimulate hair growth on the scalp, these medications are not suitable for facial use and would therefore be unsuitable to treat missing facial hair. 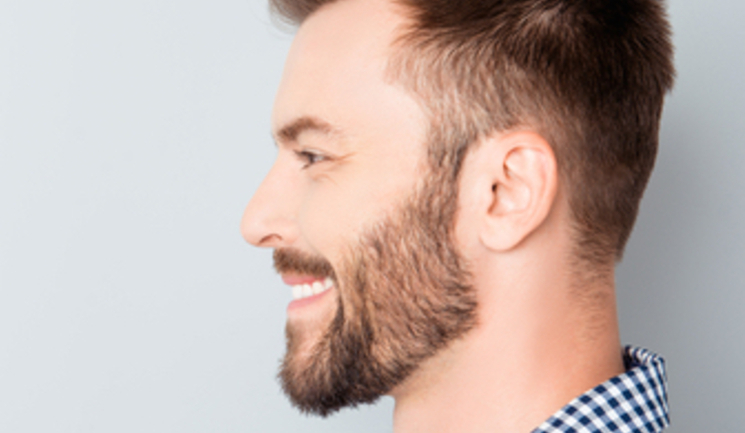 Hair transplantation is the only method that is permanent and provides the patient with tangible beard hair, with the natural look, feel and behaviour of what has been lost or never had. Hair transplantation is a specialist treatment that requires a vast amount of training by accredited bodies, which are limited worldwide. Practitioners who wish to pursue training in this area should only do so if it will be part of their core treatment offering. Those who do not carry out facial transplants regularly can jeopardise their ability to achieve consistently good results. Neave, N., & Shields, K. (2008). The effects of facial hair manipulation on female perceptions of attractiveness, masculinity, and dominance in male faces. Personality and Individual Differences, 45(5), 373-377. Addison, W. E. (1989). Beardedness as a Factor in Perceived Masculinity. Perceptual and Motor Skills, 68(3), pp.921-922. Barber, N. (2001). Mustache Fashion Covaries with a Good Marriage Market for Women. Journal of Nonverbal Behavior, 25(4), pp.261-272. Gowing, T. S. (1854). The Philosophy of Beards. Martin, C. (2011). A Gentleman’s Guide to Beard and Moustache Management. Botchkarev, V. A. (2003). Stress and the Hair Follicle: Exploring the Connections. The American Journal of Pathology, 162(3), pp.709-712. Chang, K., Rojhirunsakool, S., & Goldberg, L. (2009). Treatment of severe alopecia areata with intralesional steroid injections. Journal of Drugs in Dermatology, 8(10), pp.909-912. Hair restoration is becoming really very common trend nowadays. Most of the people who do not have a full beard, and hairs on head too, go with the hair restoration technique. But other than this, there are various supplements and products are available which helps in the beard growth and acts like an alternative to restoration method. There are many online stores too available like https://www.beard-growth.com/Store/, amazon etc, which provides the beard products like beard oil, beard balm, beard shampoo which helps to grow beard hair naturally.